Looking for a new way to cook fish? This easy poached fish recipe takes you to the islands. 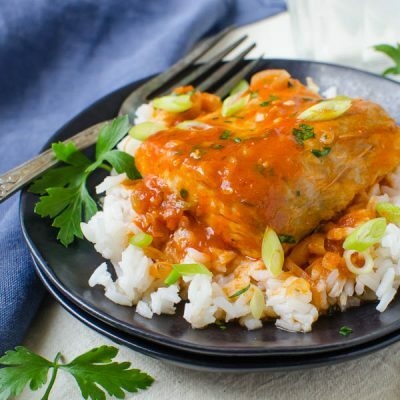 Spicy Caribbean Mahi Mahi is a healthy fish dinner that’s ready in under an hour. My grandparents are from the islands. Martinique. A little French island in the Lesser Antilles. Our family dinners are largely influenced by the regional fare from that little outpost plopped in the middle of an azure blue sea. Spicy Caribbean Mahi-Mahi is a prime example of that. This dish is a standard in our house — like mac and cheese or chicken fingers for most families. Actually, that’s not even what we call it. In our family this dish is referred to as Court Bouillon (Pronounced cooh-booh-yahn). If you look up “Court Bouillon” online or in cookbooks, you’ll find recipes for a poaching liquid infused with wine, herbs and aromatics for gently cooking fish, shellfish and other proteins. 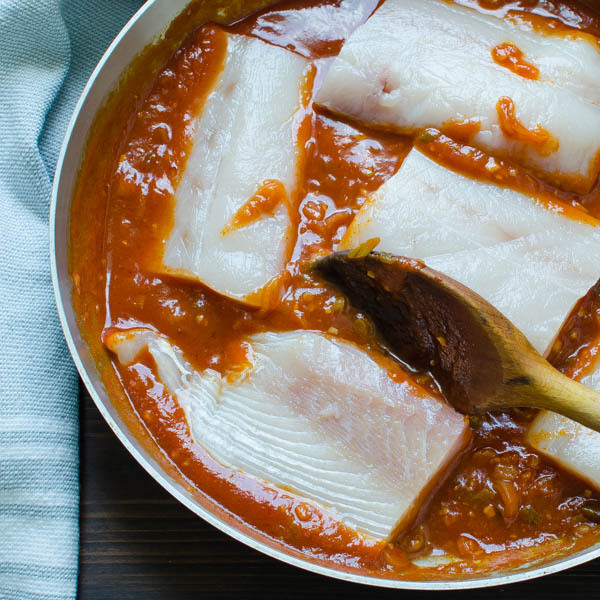 I guess the translation makes sense, this is a poached fish recipe, but with the spicy tomato broth it eats like a meal. I’ve been making it since I was about 20 and maybe I’m biased, but it’s my favorite way to make MahiMahi, or any fish. I’ve made it with snapper, cod — even Walleye! And it couldn’t be simpler. 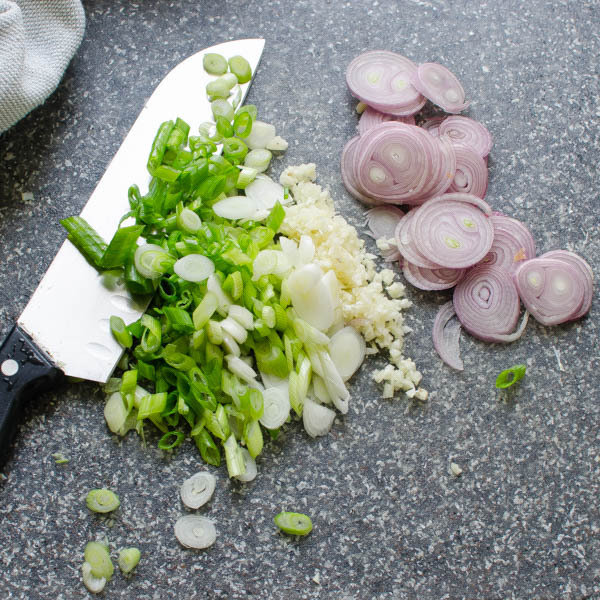 Start by very gently sweating the shallots, green onions and garlic until they are practically translucent. Then add some good quality tomato sauce and thin it out with a bit of water. Red pepper flakes add heat — though my grandfather would make his own scotch bonnet pepper sauce to add to the simmering liquid. You can add a few bay leaves while the sauce simmers too. Then it’s time to add the fish. Gently place the mahi (or whatever fish you’re using) in the broth, cover the pan with a tight-fitting lid and poach for 5-6 minutes until it’s about halfway cooked. 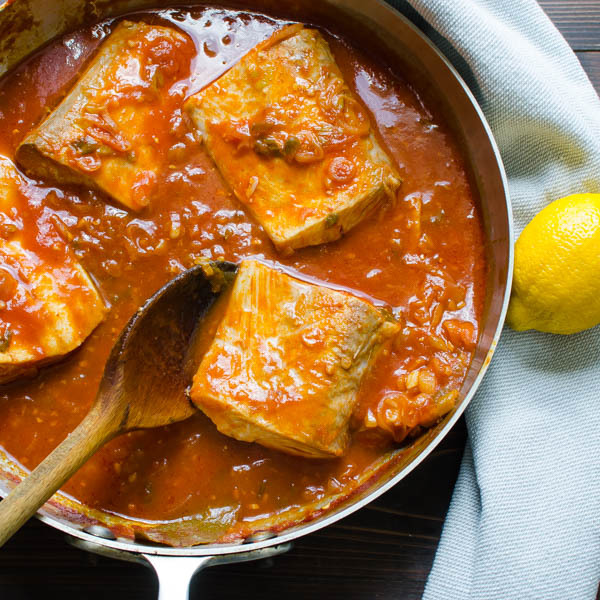 Gently turn the fish and continue the spicy tomato bath! A squeeze of fresh lemon juice and a sprinkle of parsley right before serving will add a bright pop of flavor. 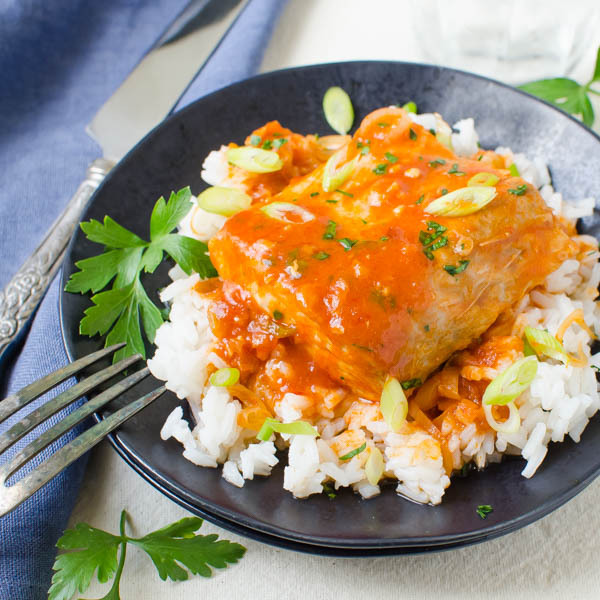 Serve this over sticky white rice – not the Uncle Ben’s converted rice – you want a starchier variety that will soak up the goodness. We like this with a cool cucumber salad and a hot crust of french bread. Don’t forget the wine. It goes equally well with a red or white — I know that from experience. Lightly spiced tomato broth poaches fresh mahi mahi. 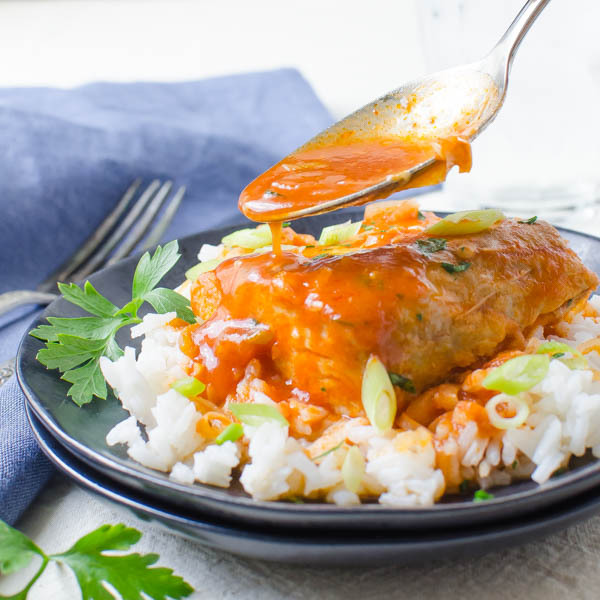 Serve over sticky rice for a healthy, flavorful meal! 2 cups cooked long grain white rice - you want the rice to be sticky -- NOT converted rice. 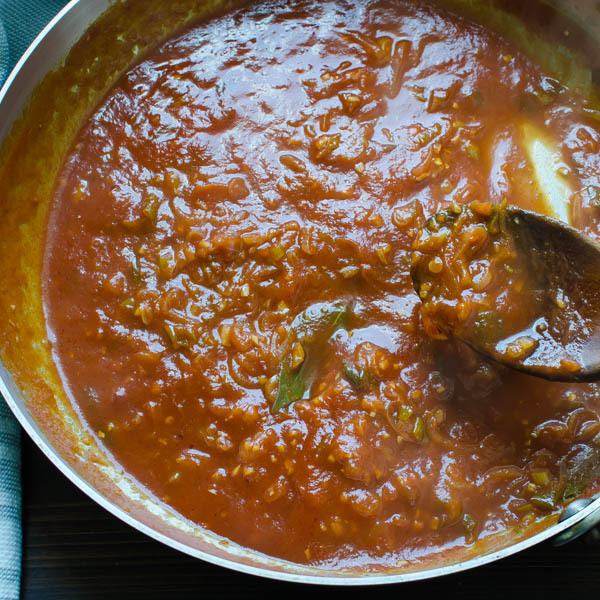 Poaching liquid should be looser than a typical tomato sauce. If its too thick, stir in two to three tablespoons of water to loosen it up. Taste sauce and adjust seasonings as needed. So glad you enjoyed it, Lisa. This is an old family favorite. Thank you for this fast and delicious recipe! We loved it. So glad you enjoyed it, Fay! We make it all the time in our house! Wow. Made this tonight and it was fantabulous!!! Thank you. I’m so glad you enjoyed it, Devennie! We have this regularly in our house because it’s so easy and good! Try more crushed red pepper or your favorite hot sauce. I’m glad you like it Carol, we have it regularly! Family recipes are so special, and this sounds like the type of fish dish I would love! I haven’t had Mahi Mahi in ages, and now I need to find some asap. It must be so flavorful poached in that beautiful sauce. Your grandfather’s scotch bonnet pepper sauce sounds amazing, too! What a great addition it must make to a dish like this. My grandfather’s “piment” sauce is amazing, but it’s tough to find the specific type of scotch bonnets here in the states. I would make the sauce with regular scotch bonnets, but it wouldn’t be the same. The peppers they get in Martinique are super hot, but they’ve also got a very distinctive flavor – impossible to replicate with our domestic variety. Glad you like it, Donna – it’s definitely not mac and cheese, but we eat it up! That’s true – people are always put off when they see Dolphin on the menu — But Dolphin, Mahi Mahi, Dorado, it’s all the same — and it’s a really meaty fish. Wish I’d known you were here in March, we could have gotten together! This sounds absolutely SPECTACULAR. I love fish in general, and while I don’t get the opportunity to have mahi mahi all that often, I’ve always enjoyed it. I need to explore Caribbean dishes more in general, and this reminds me why! It’s fascinating to me that your family calls it Court Bouillon – I’m only familiar with that term in the more France-specific way you mention. But then, French culinary terms often take a life of their own in historical colonies. 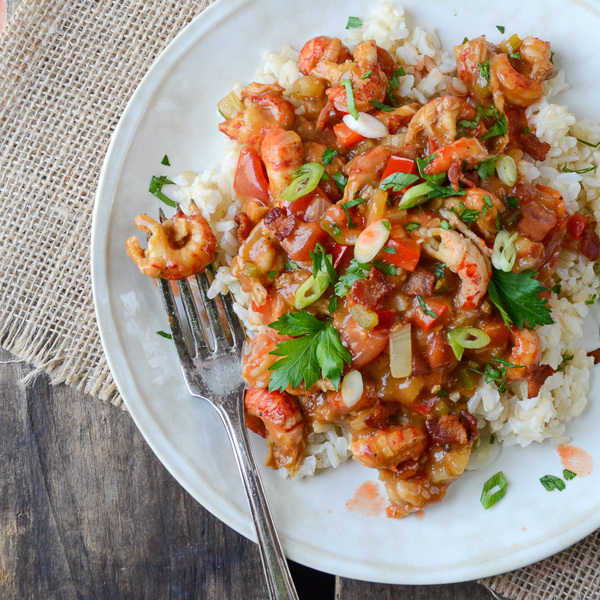 Cajun food is full of French terms that differ pretty markedly from their France-French progenitors. I always think of the penny-red roux used to make gumbo, which would shock and appall a French chef who asked for a ‘roux’! Anyway, thank you for the lovely dish, and the peek into a little known culinary culture! You’re so right, Sean — that red roux would have a chef tossed on his ear in France! This is a very simple, but well layered dish! I hope you enjoy it. This looks delicious! I can’t wait to try it tonight! I’m just wondering, the nutritional information is just for the fish, does not include the rice? Yes, that’s right — it doesn’t include the rice in the nutritional info! I am totally loving the Caribbean flavors in your sauce. 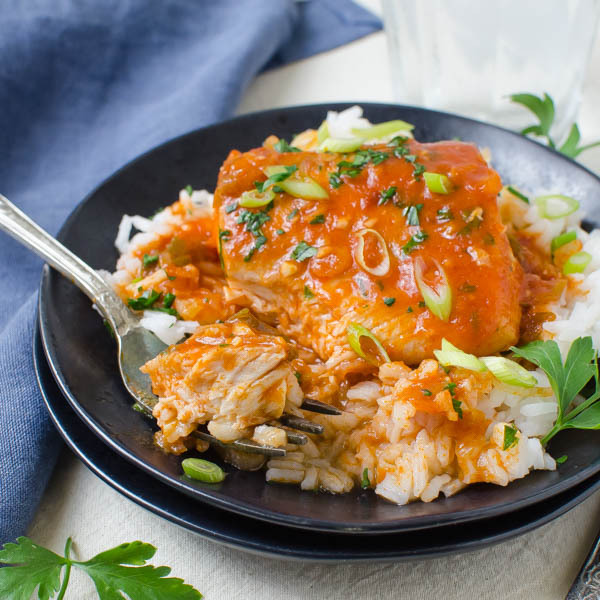 Mahi Mahi is a strong enough fish to hold up to this strong and tasty sauce. 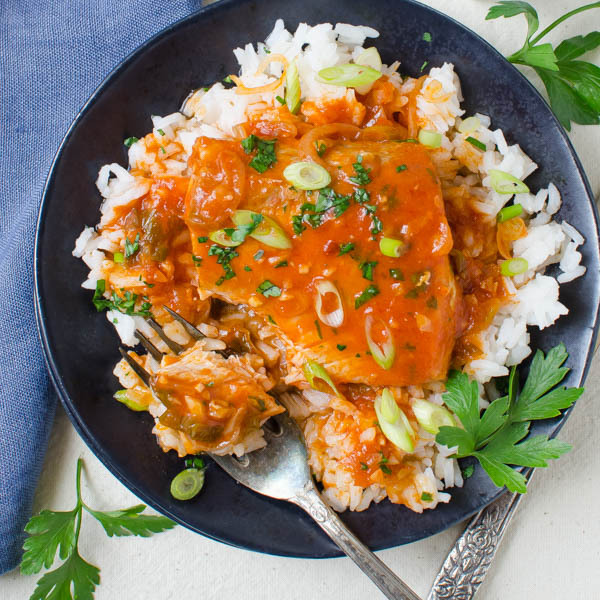 You totally need all the rice, and then some, to soak up any leftover sauce. Thanks, Peter! This is a dish I’ve eaten all my life and the mahi is my favorite fish in it! Love this recipe, we are big fans of Mahi Mahi. Mind if we share it with our audience? No curry in this one, Tina — that’s just a spicy tomato broth! That sounds delicious and very similar to a dish I used to cook with cod when I lived in the UK, lovely recipe. I’m glad you like it, Monica. It’s a family favorite! 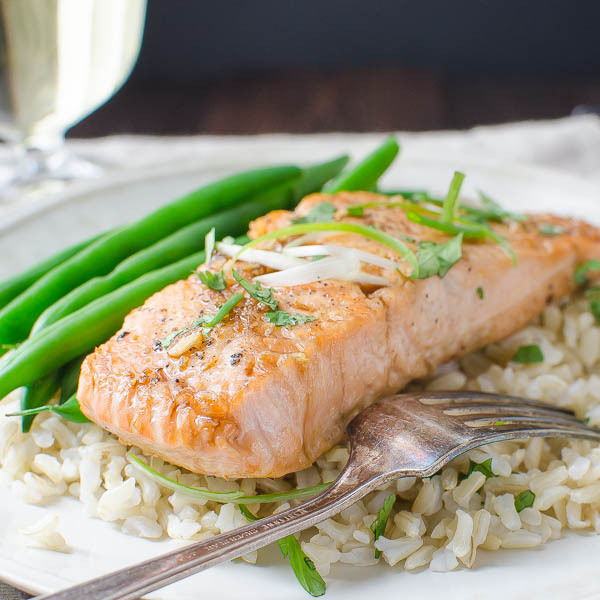 This looks like a delicious fish recipe, yum! 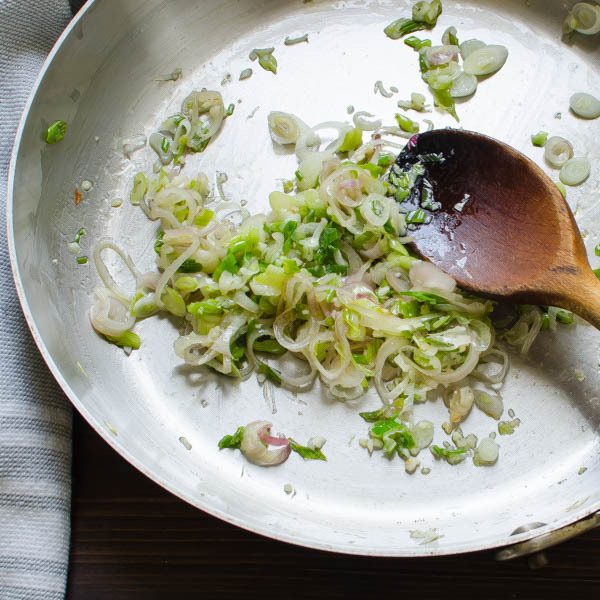 I ran right over when I read the name of this recipe, it sounds fabulous ~ I might go low carb and serve it right on top of the cucumber salad you mention! You can skip the rice altogether — and maybe do a cauliflower rice for a low carb alternative! Hope you enjoy it!